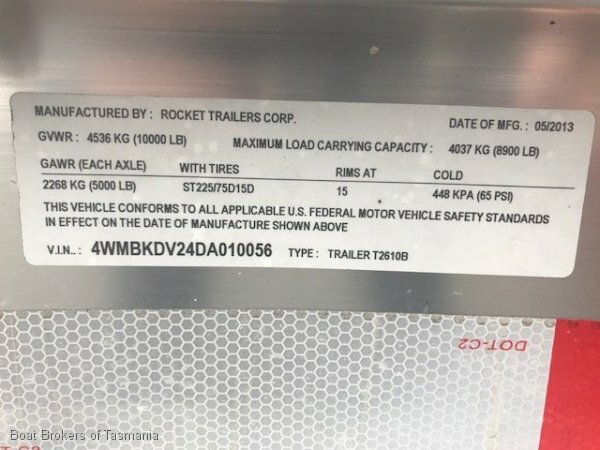 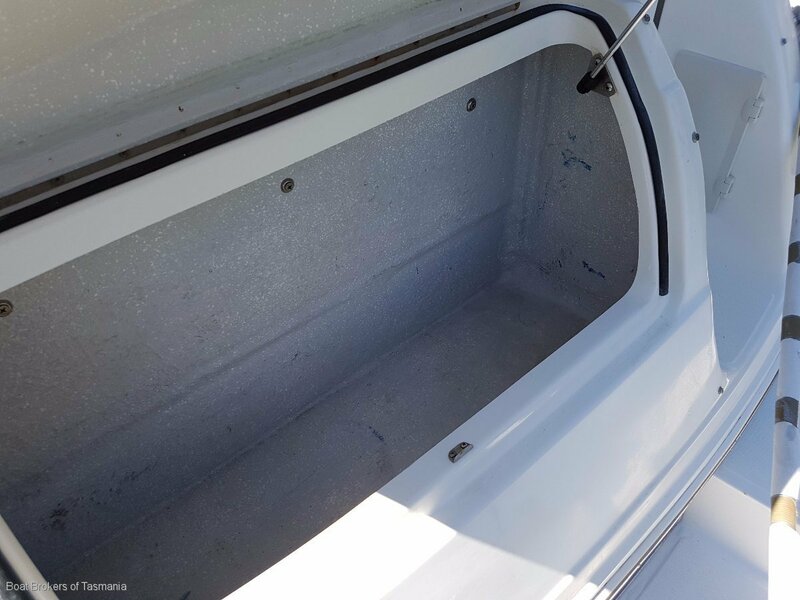 This Series 3 version is well maintained by an engineer owner and comes with a registered, tandem alloy trailer for storage and transport. 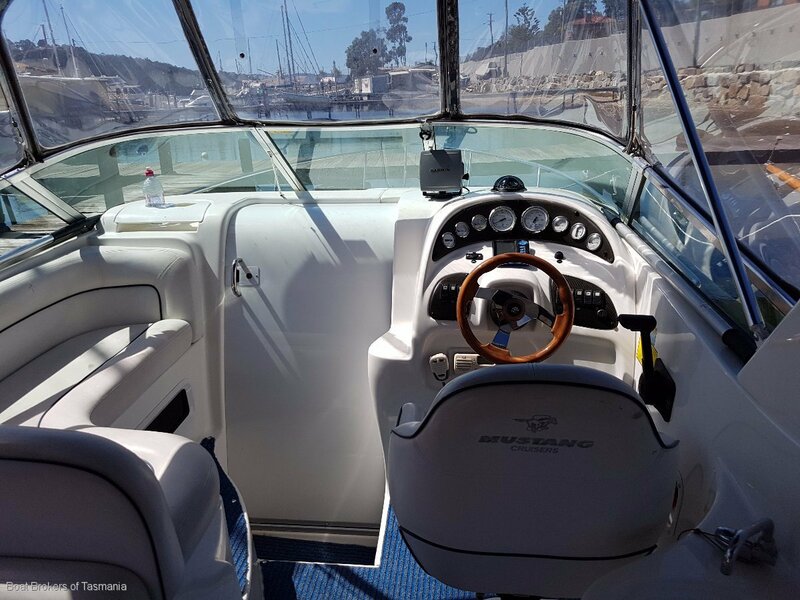 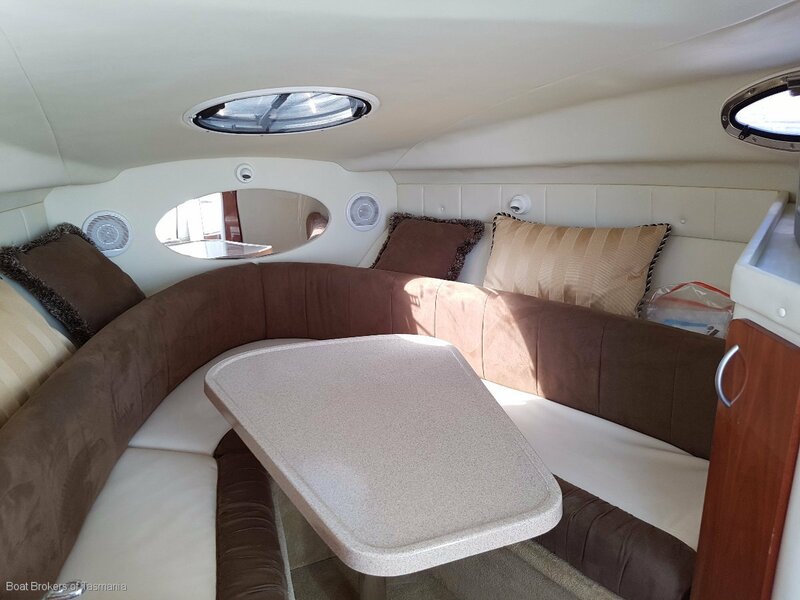 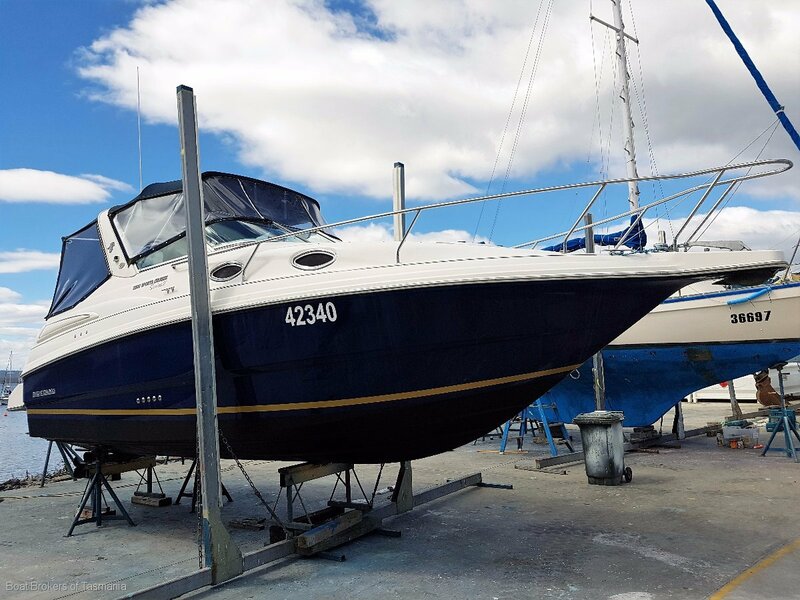 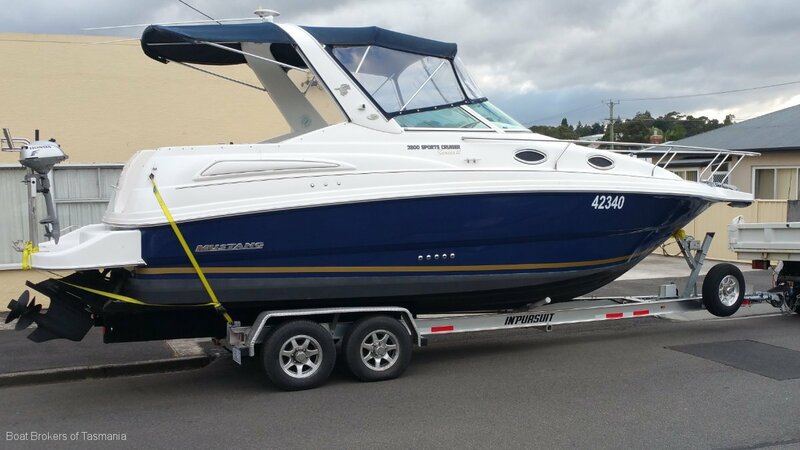 With only 476 engine hours and a very comprehensive inventory this is a great opportunity to acquire an excellent weekender or an ideal family cruiser. 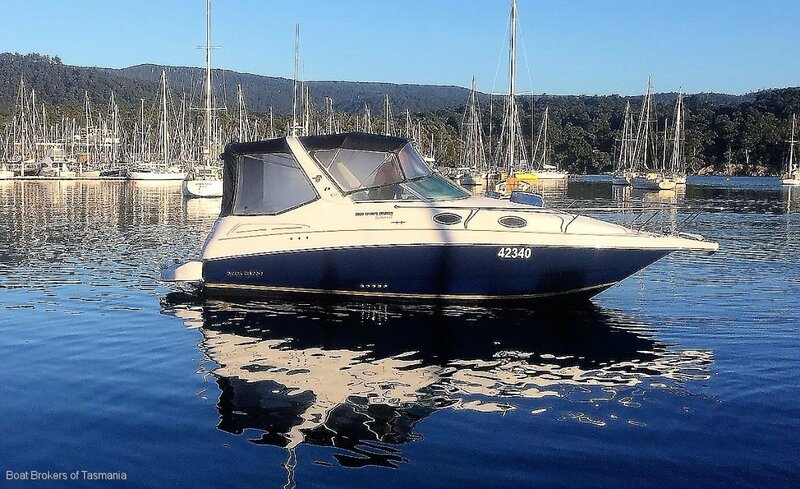 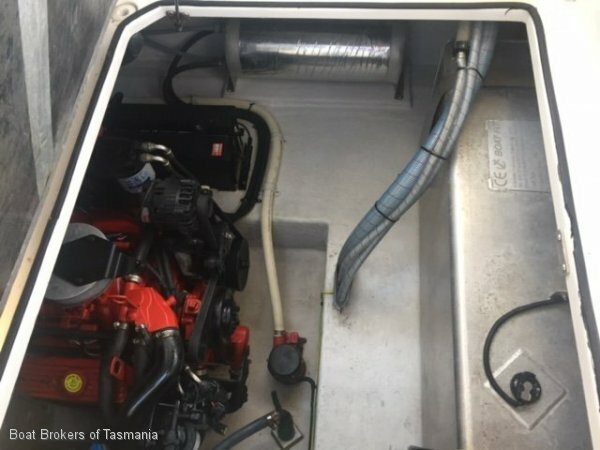 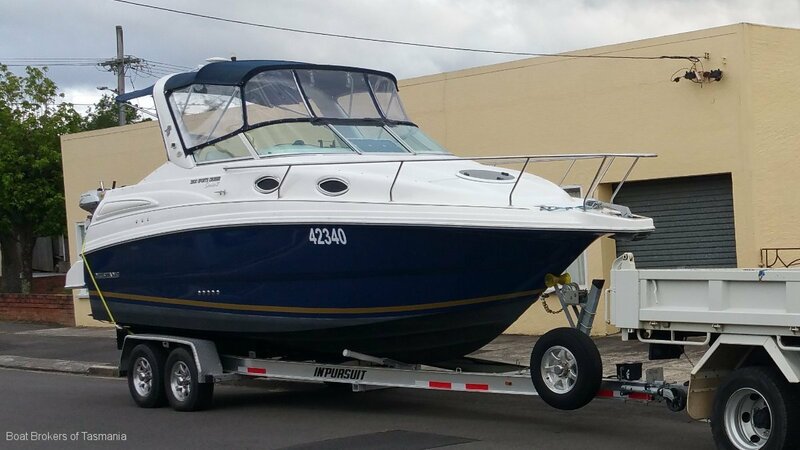 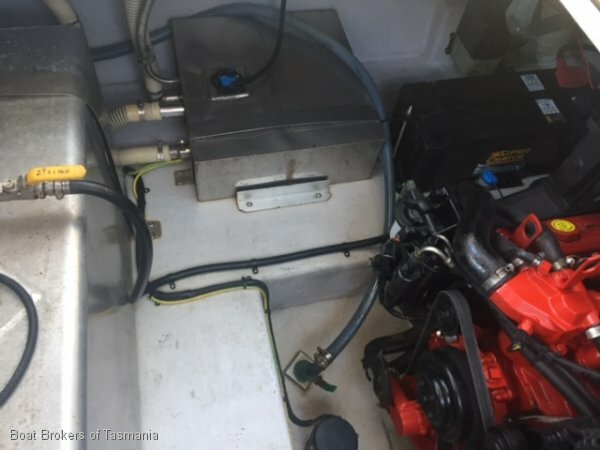 BOAT AND TRAILER ONLY $50,000 Please phone Steve Taylor on 0400 934 974 to organise an inspection of this lovely boat. 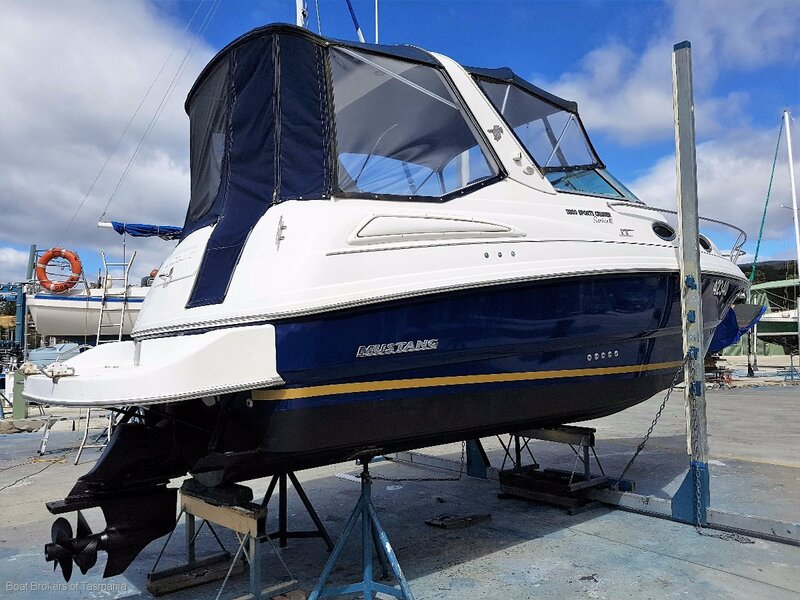 Be quick for this tidy boat being offered at a sensible price. 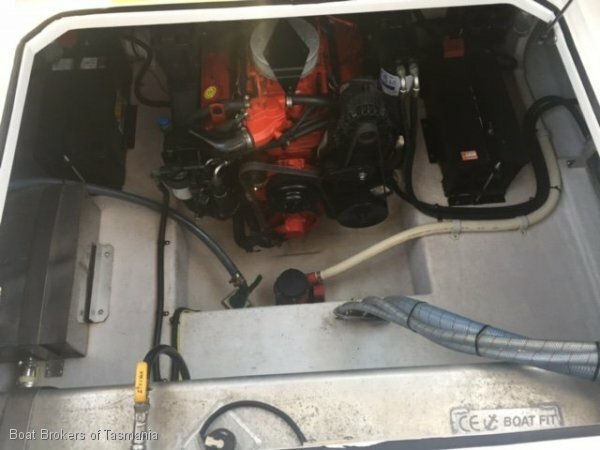 Engine 5 litre V8 giving 270hp and top speed of 30 knots. 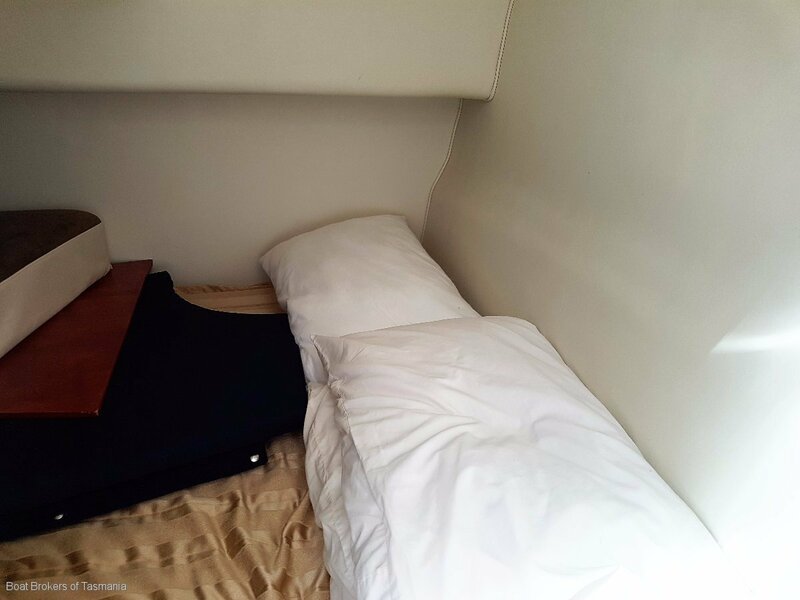 Accommodation Well appointed cruiser with double berths forward and aft. 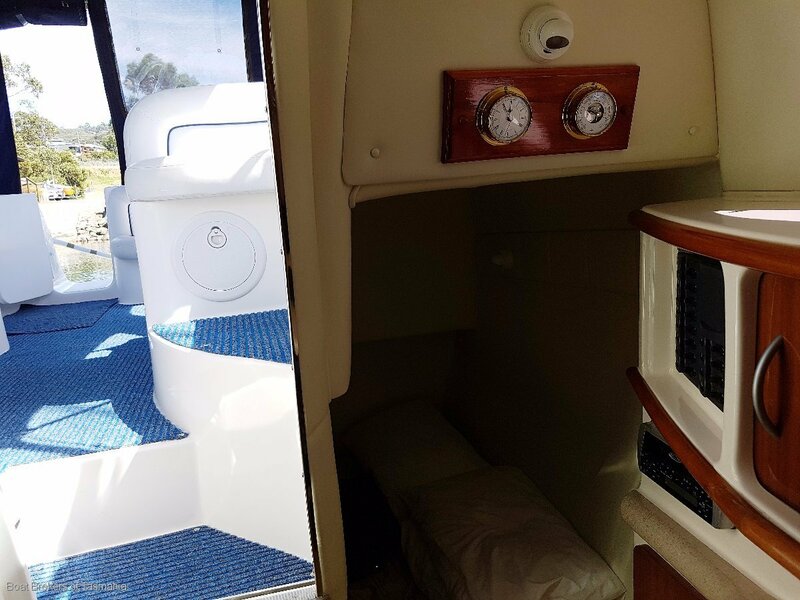 Good headroom, carpeted and lined with timber furniture and trim. 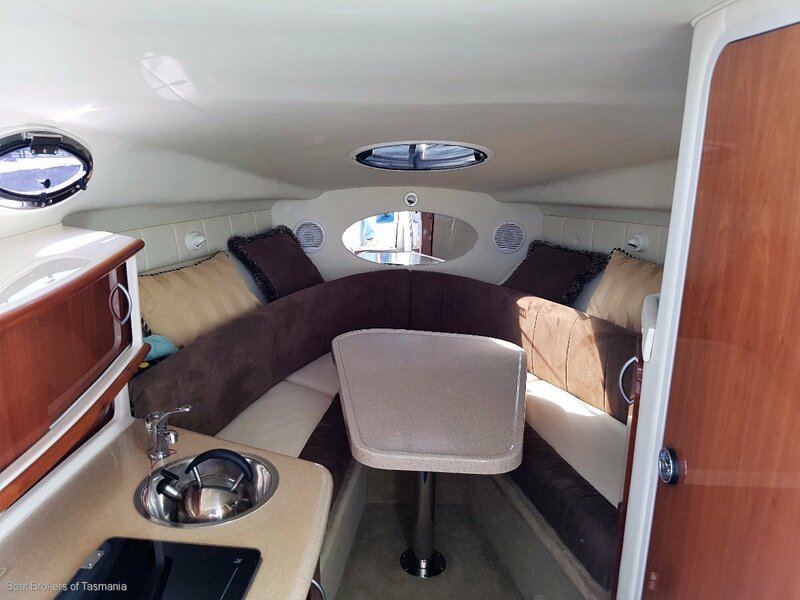 Dinette table with room for 4, portholes and hatches for air and light and plenty of seating in the cockpit too. 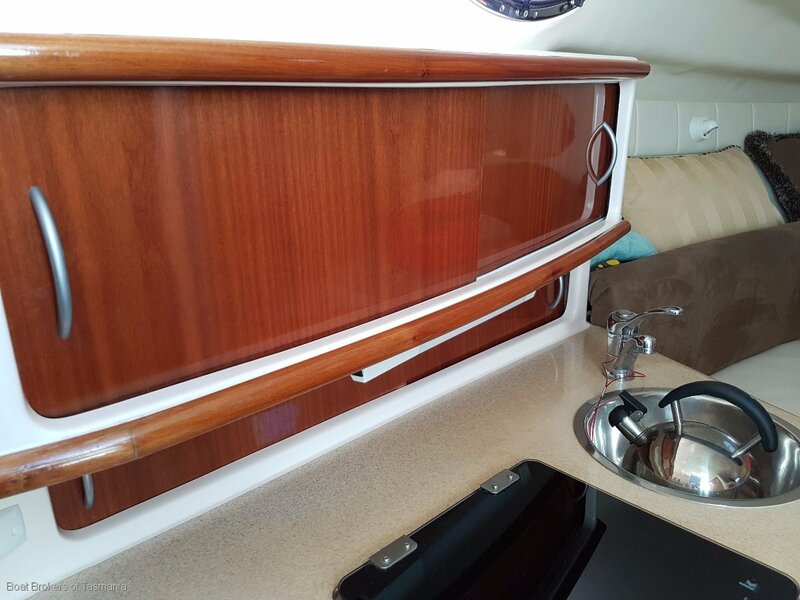 Galley On port side downstairs, fitted with sink, stove and fridge. 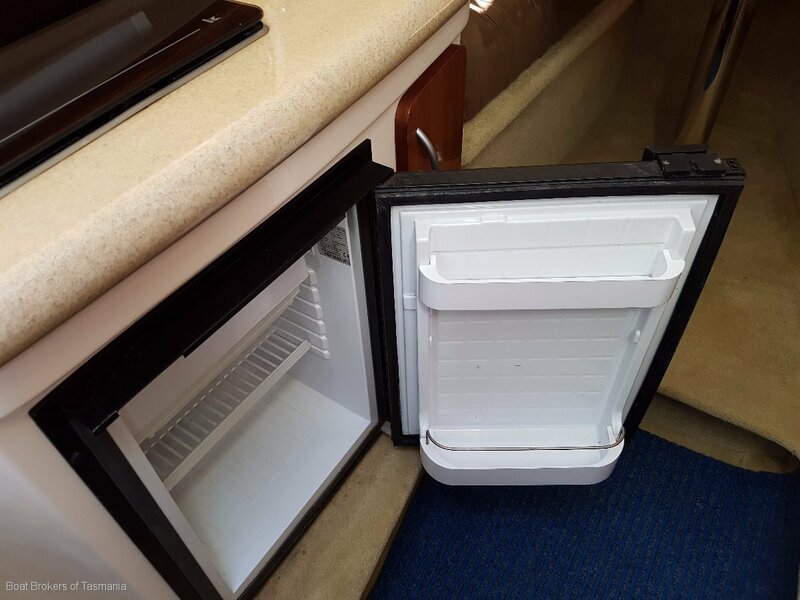 Lots of storage too. 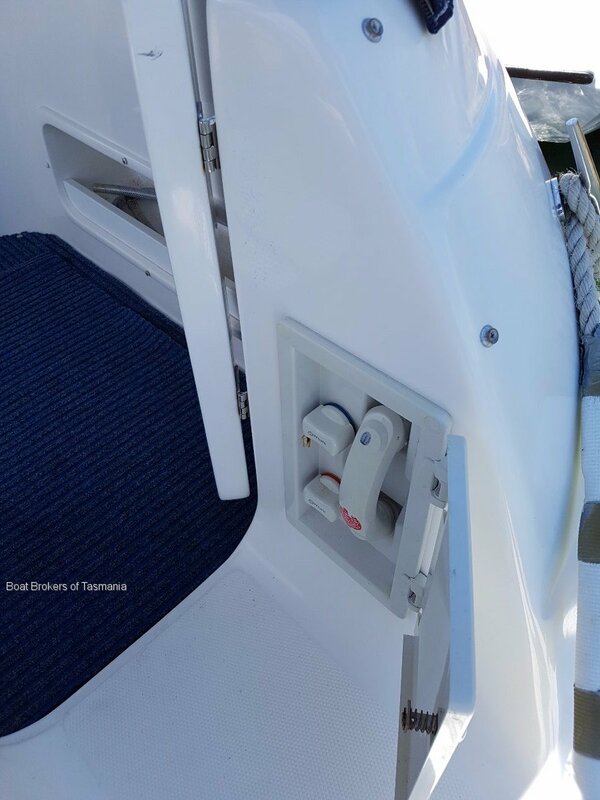 Toilet Electric with a holding tank. 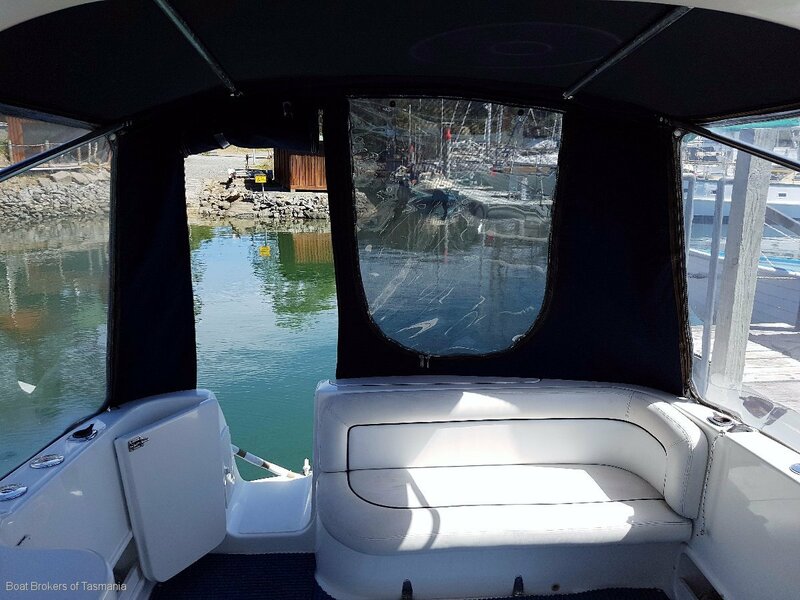 Dinghy Alloy bottom inflatable and oars. 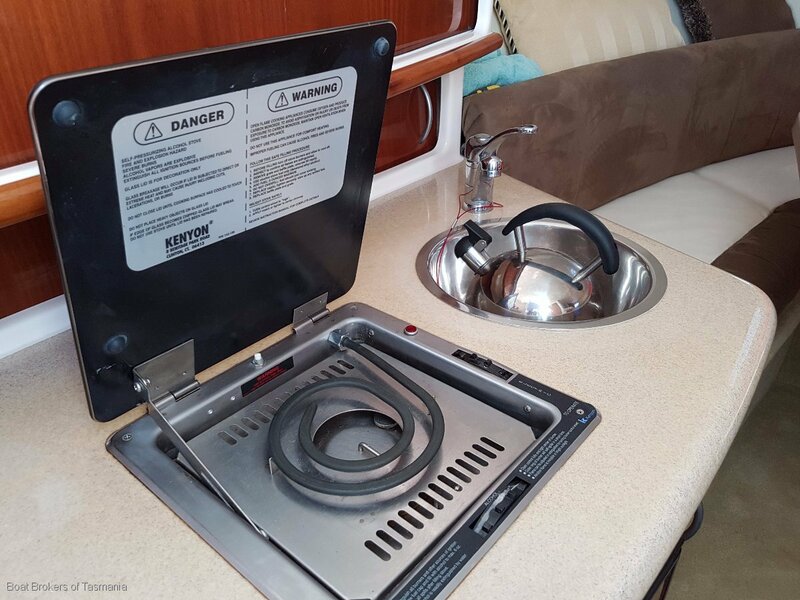 Covers Full camper covers in good order. 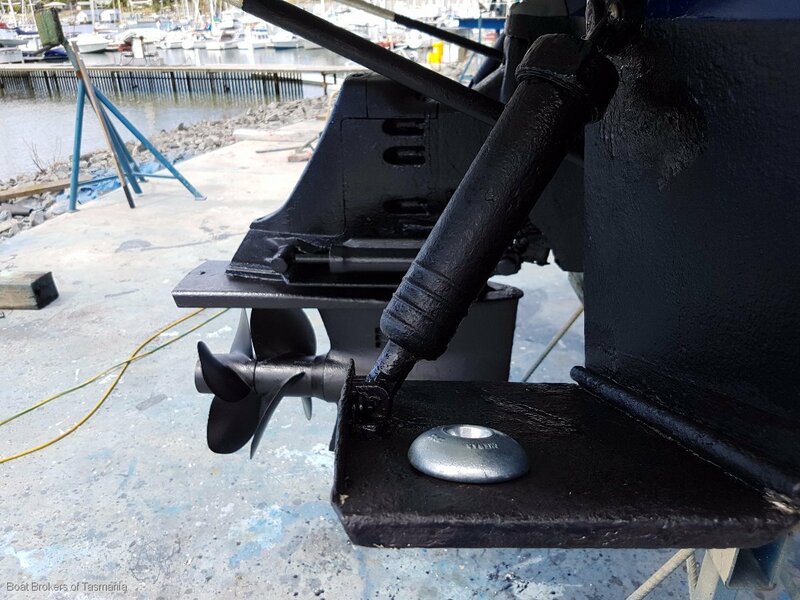 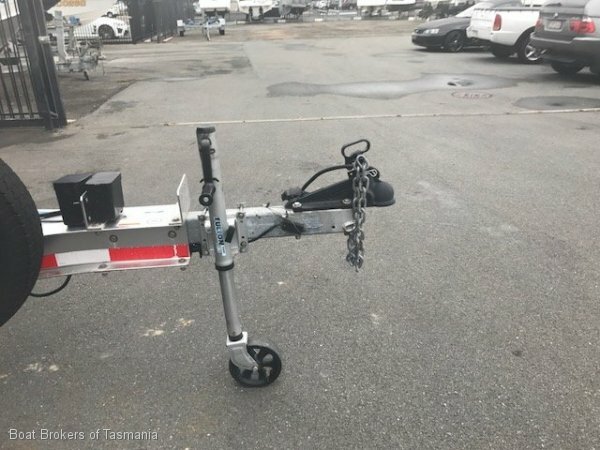 Ground Tackle Electric anchor winch. 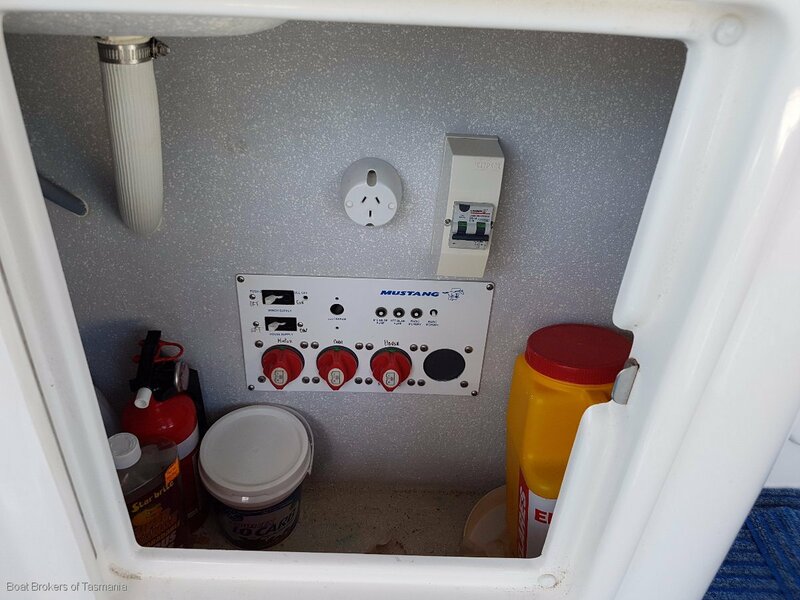 Electrics 12 volt system with isolating switches for battery. 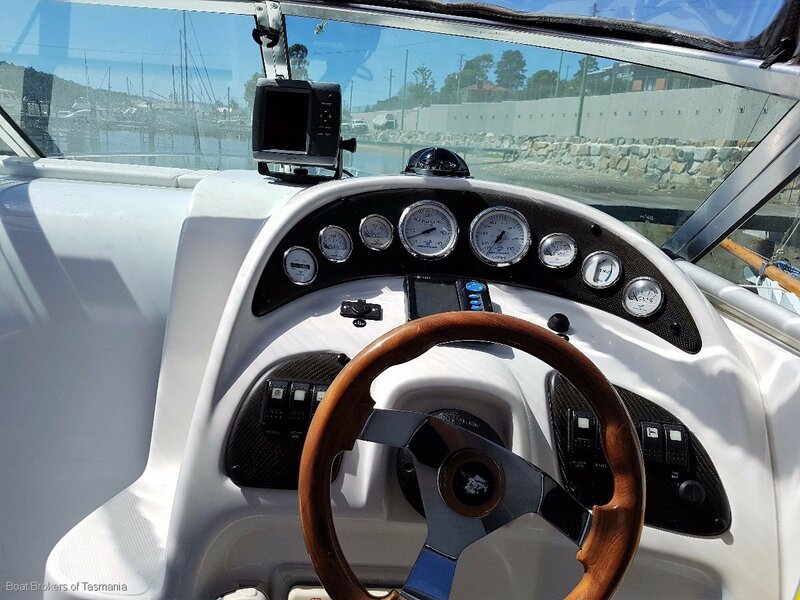 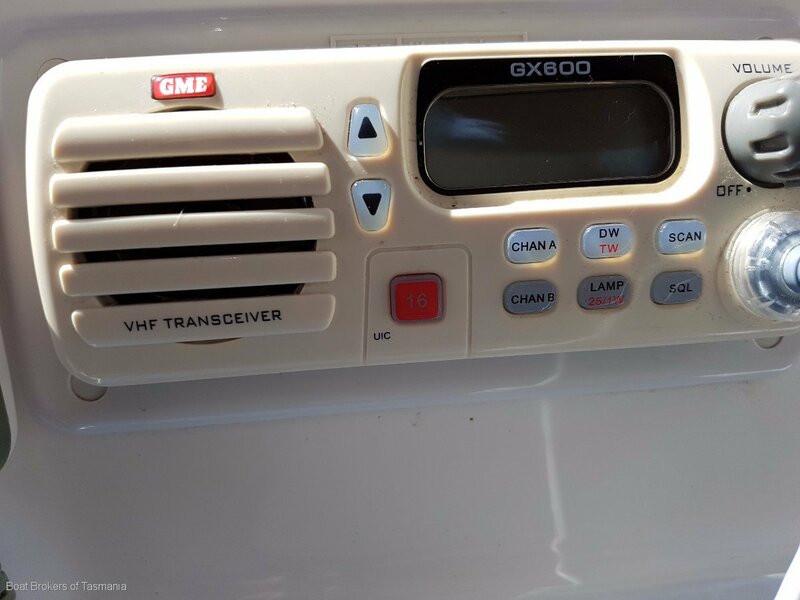 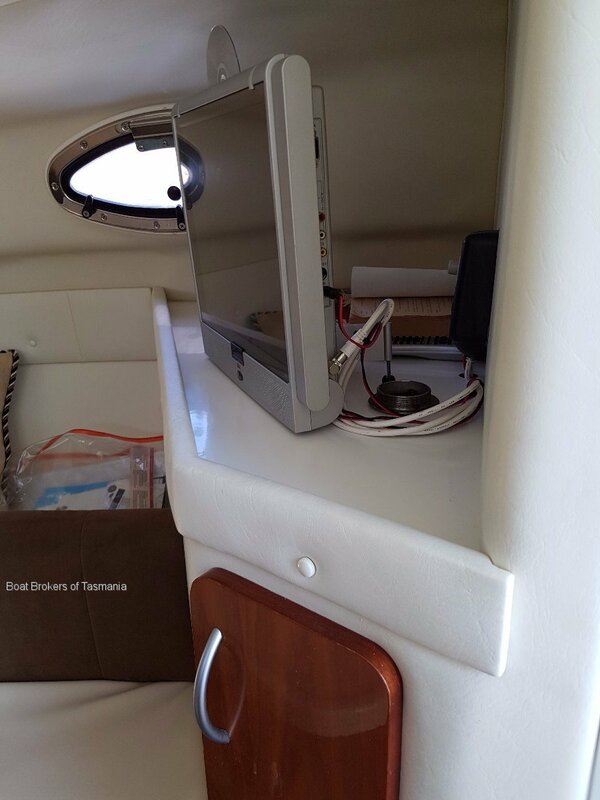 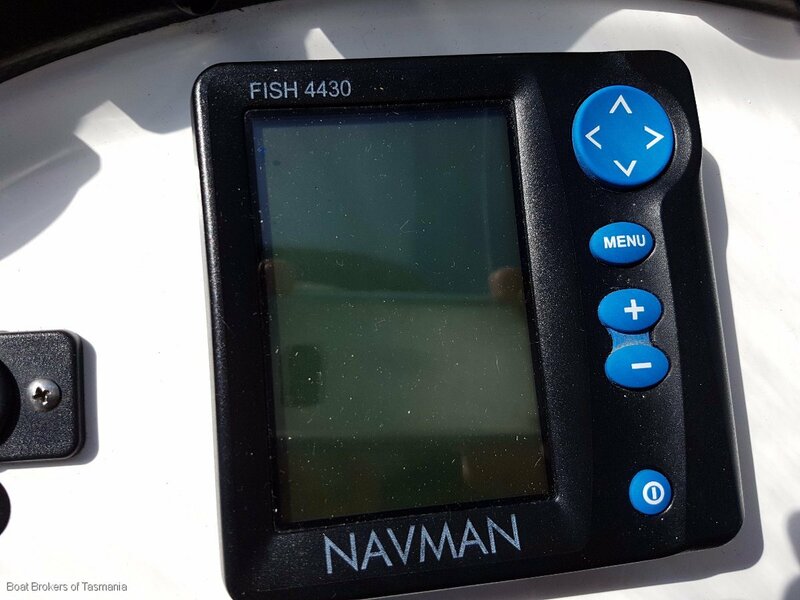 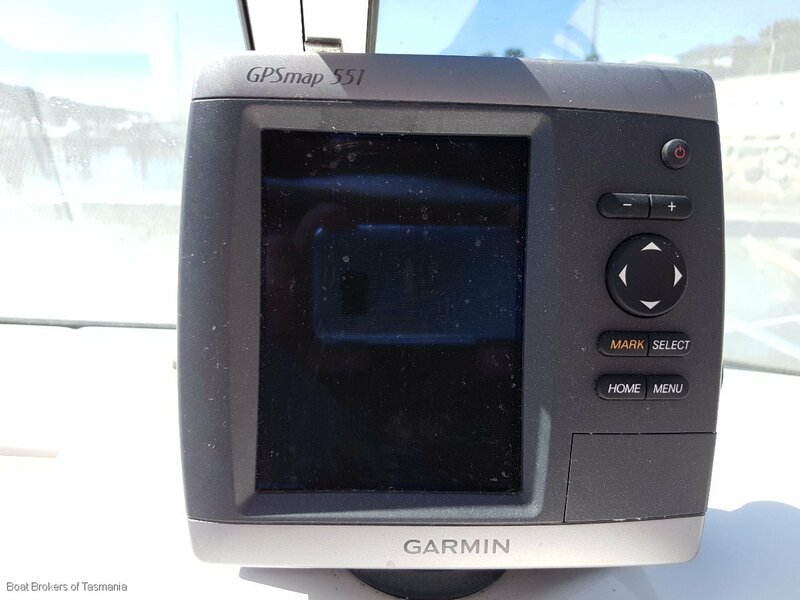 Navigation Garmin GPS, Navman fishfinder, GME VHF radio. 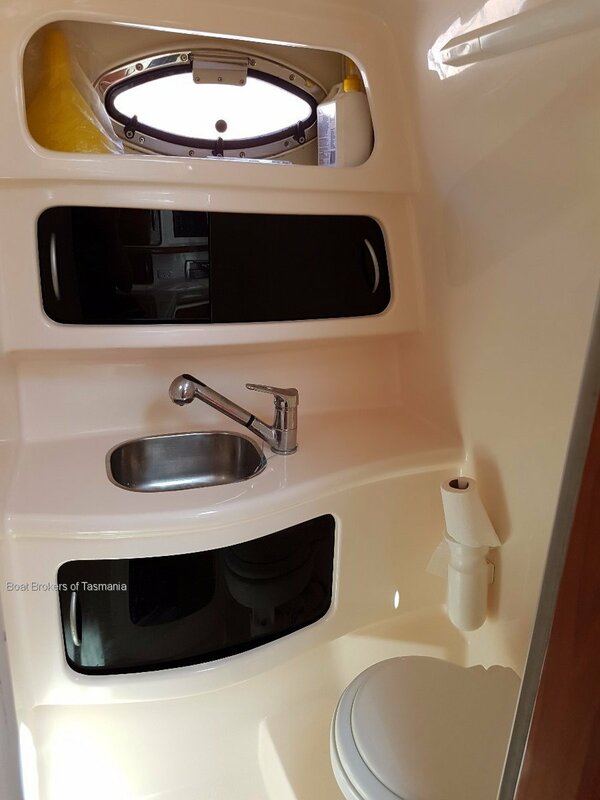 Deck Gear Cockpit shower, transom boot for storage, transom door, rod holders, cockpit carpet. 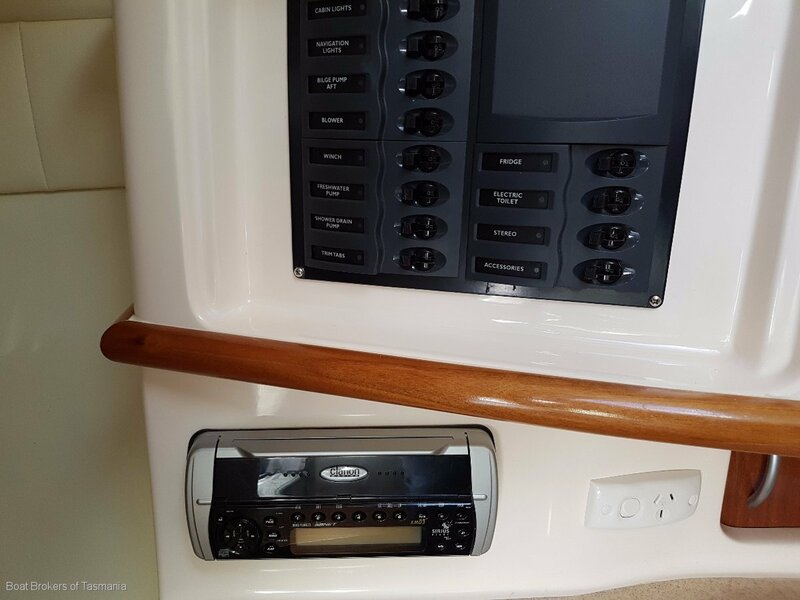 Custom built stainless steel swim platform rail with baitboard and outboard bracket.